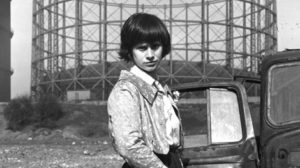 The revolutionary British New Wave films of the early 1960s were celebrated for their uncompromising depictions of working-class lives and relations between the sexes. The 1961 drama A Taste of Honey, directed by Tony Richardson (Tom Jones), is a leading light of that movement. Based on one of the most controversial plays of its day, A Taste of Honey stars Rita Tushingham (Doctor Zhivago), in a star-making debut role, as a disaffected teenager finding her way amid the economic desperation of industrial Manchester, and despite an absent, self-absorbed mother. With its unapologetic identification with social outcasts and its sensitive, modern approach to matters of sexuality and race, Richardson’s classic is a still startling benchmark work of realism.